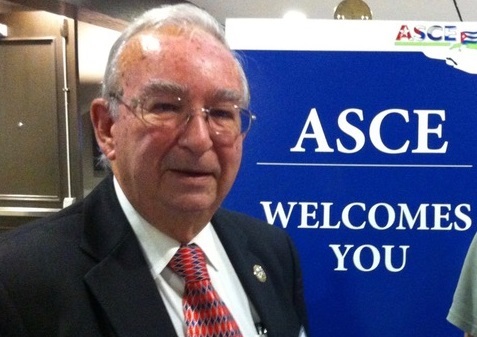 The 28th Meeting of the Association for the Study of the Cuban Economy (ASCE) was held in Miami, Florida, July26-28, 2018. This conference differed slightly from prior meetings in that it had a higher participations from Cuban-based economists and students. In fact the two students that won the competition for the student essay awards live in Cuba. The papers presented summed up the disastrous state of the Cuban economy and the very poor prospects for the immediate future, short of finding a new Sugar Daddy like the Soviet Union or Venezuela to subsidize Cuba. FINALLY, AN LNG PROJECT FOR CUBA? By Jorge R. Piñón, Director, Institutional Relations – Mexico, The Office of the Vice President for Research, The University of Texas at Austin. Is an LNG Floating Storage and Regasification (FSRU) unit in Cuba’s energy future? Industry press reports indicate that France’s Total is looking at a LNG Floating Storage and Regasification (FSRU) unit able to supply a 600MW power plant in Matanzas, Cuba. FSRU’s are former LNG carriers capable of transporting, storing, and regasifying LNG onboard and deliver natural gas to on-shore power plants. They typically cost about 50-60% less than a land based facility. 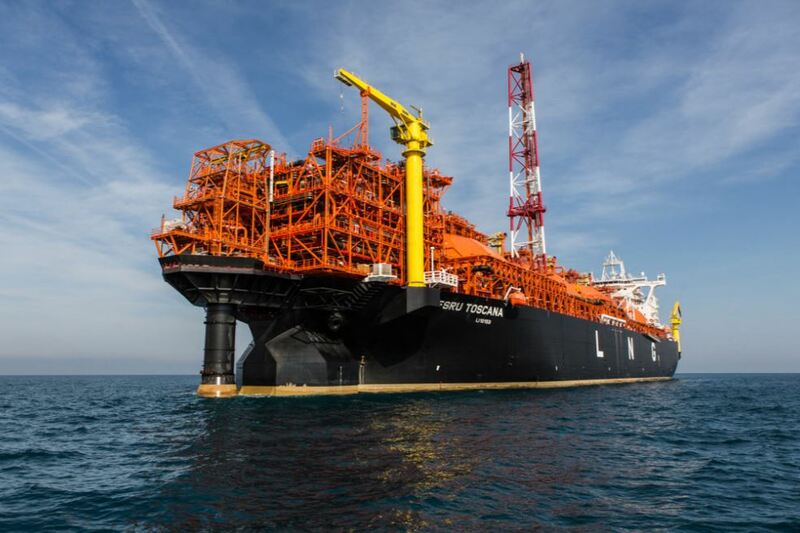 There are today over 100 FSRU projects in operation, construction or in various stages of development throughout the world; including in the Caribbean –Puerto Rico, Dominican Republic and Jamaica. This could be a LNG supply agreement for a reported October 2015 Russia’s Inter RAO $1.4b usd deal with Cuba’s EnergoImport to install four 200 MW power plant units; three (600MW) in the Santa Cruz del Norte power plant and one (200MW) in Mariel. The Santa Cruz del Norte power plant is 52 kilometers east of the deep-water Matanzas crude oil terminal. The Inter RAO project financing is reported to be provided by a Russian 4.5 percent interest ten year loan. France’s Total has been active in Cuba since 1993 in partnership with CUPET (ELF Gas Cuba S.A.) as a distributor of liquid propane and butane (LPG) bottles in Santiago de Cuba, used as home cooking fuel. Russia’s Yamal LNG (20%), one of the largest and most complex LNG projects in the world, where in partnership with Russia’s Novatek and China’s CNPC is developing the enormous South Tambey gas and condensate field. Ichthys LNG project (30%) in partnership with Japan’s INPEX is developing large natural gas and condensate reserves found in deep waters off Australia’s northwest coast. If the report is correct this could be the best strategic long term decision that the Cuban government has ever made toward a comprehensive National Energy Policy that would allow it to react to changes in price, geopolitical events and or supply-demand disruptions. A clear road map could finally be emerging toward a balanced energy matrix of renewable sources such as wind, solar and biomass; and cleaner burning natural gas (compared to high sulfur fuel oil) for base-load generation, which still would represent 76% of its 2030 energy matrix. LNG to the FSRU could be supplied from T&T, West Africa or eventually from the U.S….even through Mexico from Altamira. Whether it becomes a reality or another Cuban “pipe dream” we will have to wait and see. Cuba produces today approximately 1.155 million m³ of associated natural gas per year, an increase of 55 percent from 2005 levels of .743 million m³. Cuba’s natural gas production is all associated natural gas found within the crude oil reservoirs. The island’s geology to date has not proven to be a major source of dry, non associated natural gas reservoirs. Associated natural gas production is being used as fuel for onsite power generating plants of 400 mw total capacity owned and operated by Energas, a joint venture between Canada’s Sherritt and Cuba’s Cupet and Unión Eléctrica. A LNG re-gasification facility to receive Venezuelan-sourced LNG is currently being planned for the southern coast port city of Cienfuegos by CuvenPetrol, a joint venture between Venezuela’s PdVSA (51%) and Cuba’s Cupet (49%). Two 1-million-ton re-gasification trains are planned for 2012 at a cost of over $400 million. The natural gas is destined as fuel for that city’s thermoelectric power plant, and as a feedstock (hydrogen) for the Cienfuegos refinery and future petrochemical/fertilizer plants. LNG is natural gas that has been super cooled to minus 260 degrees Fahrenheit (minus 162 degrees Celsius). At this temperature, natural gas condenses into a liquid taking up to 600 times less space than in its gaseous state, which makes it feasible to transport over long distances. The chilled natural gas, now LNG, is then loaded onto specially designed tankers where it will be kept chilled until it reaches its final destination. The typical LNG carrier can transport about 125,000-138,000 cubic meters of LNG. Once the tanker arrives at the regasification terminal, the LNG is offloaded into large storage tanks, built with full-containment walls and systems to keep the LNG cold until it is turned back into a gaseous state and moved into pipelines which will deliver the natural gas to the various end-users. It is estimated that Venezuela has 176 trillion cubic feet (Tcf) of proven natural gas reserves the second largest in the Western hemisphere behind the United States. Venezuela’s PdVSA plans to build three liquefaction trains at the Gran Mariscal de Ayacucho natural gas complex in Guiria. The project would source gas from the Plataforma Deltana and Mariscal Sucre natural gas projects. Total investment in the three projects could approach $20 billion, with first exports by 2013. Atlantic Basin LNG exporters such as Trinidad and Tobago (the only country in Latin America with liquefaction facilities), Nigeria, Equatorial Guinea, Algeria and possibly Angola could supply Cuba with LNG if Venezuela’s supplies are not available at the time of the completion of the Cienfuegos facility. Cuba’s neighbors, the Dominican Republic and Puerto Rico are the only other Caribbean countries with LNG regasification facilities. Natural gas, as the cleanest of the fossil fuels, emits fewer harmful pollutants, and helps to reduce greenhouse gas emissions such as carbon dioxide, sulfur dioxide, nitrogen oxides, and mercury. Smog and poor air quality is a pressing environmental challenge in Cuba where high-sulfur (3%) crude oil and fuel oil are burned as electric power plant and industrial fuel for the cement, nickel and steel industries. In 2009, high-sulphur fuel oil accounted for 64 percent of Cuba’s petroleum consumption. Cienfuegos is fast becoming Cuba’s oil refining and petrochemical center. The CuvenPetrol refinery is in the process of a $3 billion expansion project which would double its processing capacity to 150,000 barrels per day as well as improving the quality of its refined products production. 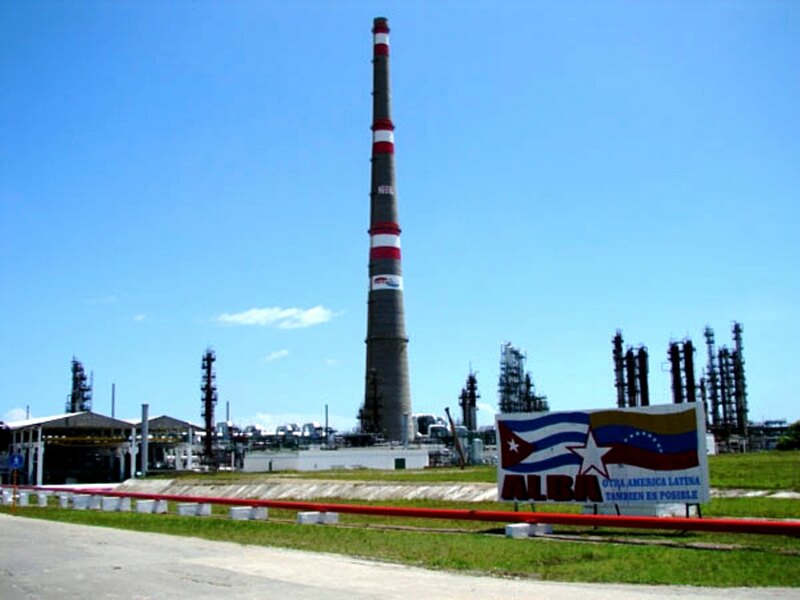 The Carlos Manuel de Cespedes electric power plant in Cienfuegos is already in the middle of an upgrading and revamping project which will allow her to burn natural gas in its 158 mw generating capacity unit number 3. Natural gas will provide fuel to the refinery as well as hydrogen for the upgrading units scheduled to be completed by 2013. Natural gas will also be used as a feedstock for a planned $1.3 billion petrochemical complex which will include ammonia and urea producing facilities which will provide Cuba with much needed fertilizers for its agricultural sector. All seems to indicate that Cuba is moving forward toward an energy policy which embraces energy conservation, modernization of the energy infrastructure and a balance sourcing of oil and natural gas in a way that protects the island’s environment. HAVANA (Reuters) – Cuba has shifted its focus away from offshore oil, concentrating on renewable energy and improving output from onshore wells due to a lack of interest by foreign companies for further deep-water exploration, sources close to the industry say. With so much oil readily available around the world, oil companies including those from allies China and Russia see little incentive in drilling off the Caribbean island, delaying the Cuban dream of oil wealth that could inject vigor into its socialist revolution. With the U.S. trade embargo of Cuba further complicating drilling plans, the country is seeking investors in renewable energy such as biomass and wind while attempting to increase output from existing onshore and shallow water wells. Russia’s state-run Rosneft and the China National Petroleum Company (CNPC) separately agreed last month to help Communist-run Cuba extract more oil along the traditional northwest heavy oil belt, but did not sign on to deepwater exploration. The northwest heavy oil belt is a 200-mile (320-km) stretch of the northern coast from Havana to Villa Clara and reaching up to 3 miles (5 km) offshore. It produces poor quality oil that meets 40 percent of the country’s needs. Rosneft and CNPC will also support the horizontal drilling of new wells from shore and join Canadian firm Sherritt International and another Russian state-run oil company, Zarubezhneft, which are already carrying out similar work. Cuba had hoped Russia and China, whose presidents visited in July, would explore deepwater offshore fields that it says may hold 20 billion barrels of oil and end its dependence on socialist ally Venezuela. Venezuela sends 115,000 barrels of oil per day to Cuba under favorable terms. “The Cubans have stopped talking about offshore oil exploration in the state-run media and in private appear more interested in new recovery methods for existing wells, biogas projects and windmill farms,” a European diplomat said. Three deep-water wells drilled in 2012 by Spanish, Norwegian, Indian, Malaysian, Russian and Venezuelan firms came up dry. All but the Norwegian state firm Statoil ASA and Venezuelan state oil company PDVSA have pulled out, and those companies are inactive. Future drilling has been postponed for the foreseeable future. Difficult geology from hard rock encountered while sinking the wells, alternative prospects elsewhere and U.S. sanctions that require oil rigs to carry less than 10 percent U.S. technology are discouraging further drilling, according to Western diplomats. “Exploration is not a one-shot deal, but in Cuba due to many factors it is. Drilling is like playing once at a roulette wheel with $100 million chips,” said a diplomat whose country was involved in exploration. Cuba’s heavy crude fields have a recovery factor of about 10 percent (10 barrels for every 100 barrels in a well), due to the viscosity of the crude and the porosity of the rock formations from which it is extracted, Pinon said. “If successful, Cuba could increase its present recovery factor from 10 percent to maybe 17 to 20 percent adding an additional 12,000 to 15,000 barrels of new production if not more to their current level of approximately 50,000 barrels per day,” Pinon said. Vice President and politburo member Marino Murillo told parliament in July that Cuba planned to invest $3.6 billion over the next 15 years in alternative energy, which is a priority for foreign investment. Murillo said 96 percent of energy generation came from oil and that the goal was to reduce that by 2030 to 76 percent, with the remainder coming from 19 bioelectricity plants attached to sugar mills, 13 wind parks and solar facilities. He did not mention deep-water oil exploration. The proceedings of the Association for the Study of the Cuban Economy’s 23rd Annual Meeting entitled “Reforming Cuba?” (August 1–3, 2013) is now available. The presentations have now been published by ASCE at http://www.ascecuba.org/. The presentations are listed below and linked to their sources in the ASCE Web Site. It would seem that local newspapers are intent on misinforming the public – both at home and abroad – about the Cuban government’s priorities with respect to the development of alternative energy sources. A case in point was the news surrounding the recently-concluded congress of the World Wind Energy Association and the Renewable Energy Exhibition (WWEC 2013), held in Havana at the beginning of this month. During a press conference, the director of Cuba’s Center for the Study of Renewable Energy Technologies (CETER), Conrado Moreno, declared that Cuba plans on developing the infrastructure needed to generate at least 10 percent of its electricity with renewable sources by the year 2030. However, thanks to this impressive wind power “program”, whose installed capacity was less than 0.5 Megawatts (MW) in 2005, the country barely produced 12 MW of electricity in 2010. That Cuba should present the congress with such an out-of-date figure (a figure which, in addition, is anything but impressive, representing a mere 0.08 % of the country’s entire energy output) should raise some eyebrows. This figure may help explain why it will take thirteen years for the country to be able to generate 10 % of its energy with wind power and the other renewable sources of energy used on the island. The fact of the matter is that Cuba currently has 9,343 wind turbines, 15 turbines and 4 wind farms in operation, for an installed capacity of 11.7 MW, a figure which places it beneath 68 other countries around the world. As a way of comparison, in 2010 Nicaragua had a generating capacity of 40 MW (the equivalent of 5 % of the country’s total installed capacity), garnered from wind power technologies alone, while Cuba currently generates a mere 4 % of its electricity via renewable energy sources in general. Local optimism, however, isn’t dampened by any of this, and experts continue to extol the virtues of Cuba’s largest wind farm (with a capacity of 51 MW), whose construction on the northern coast of the island’s eastern province of Las Tunas, a place of allegedly “ideal” wind conditions, is expected to be completed next year. It is estimated that the wind farm could generate some 153 GW/h a year, allowing the country to cut down its fossil fuel consumption by some 40 thousand tons a year. Not without a number of altercations at different levels, the Cuban government has managed to secure the environmental licenses required for the project from the pertinent agencies rather quickly, giving technicians a mere week to collect the required data. Wind power is an abundant, renewable and clean energy resource which can aid in the reduction of greenhouse gas emissions. 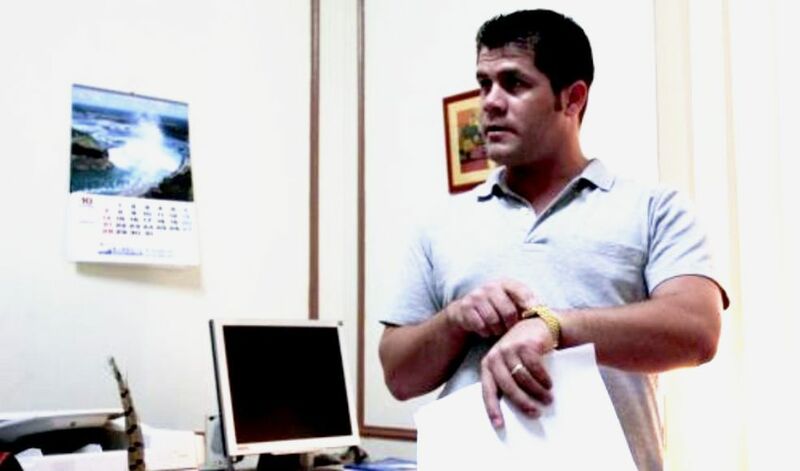 Cubans, however, have never received any in-depth information regarding its benefits and limitations, nor have we ultimately been consulted in connection with its implementation. Boasting of a relatively high Energy Return Rate* (18.1:1), wind power is cursed by one, significant limitation: its intermittence, that is, the fact that wind currents are not constant. 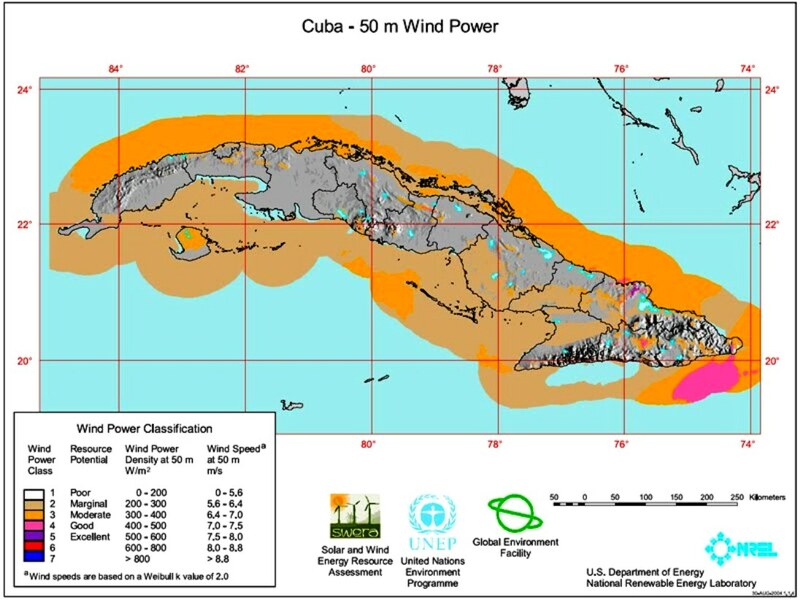 According to experts, wind currents on Cuba’s northern coastline are not uniform and are heavily influenced by local conditions, resulting from the interaction of trade and local winds and seasonal meteorological events. 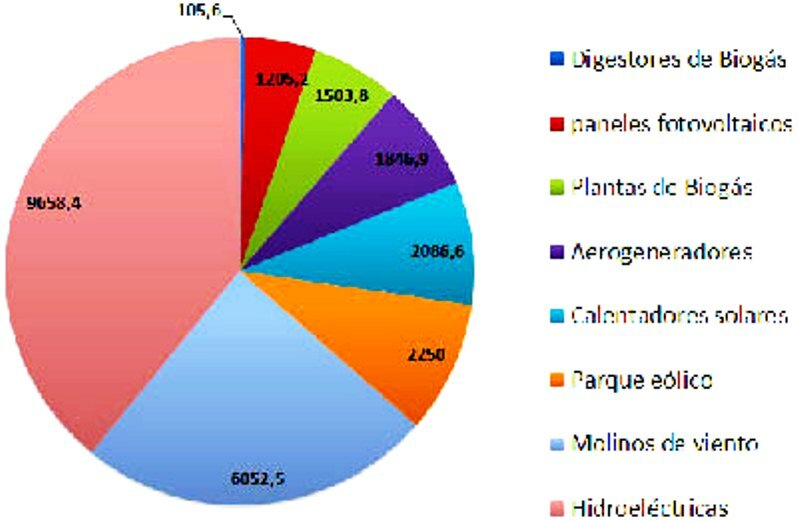 The contribution of biomass to Cuba’s energy production in the period 2000 to 2011. Figures in the equivalent of thousands of tons of oil. Because of this, wind power can only ever supplement, never wholly replace, fossil fuel sources on the island, as the contribution of conventional energy sources is indispensible. In addition, as these conventional technologies operate in “backup mode” in this scheme, they consume a lot more fuel per KW produced every hour. Fossil fuels are also consumed during the process of constructing the wind farm (during the mining of the materials, transportation and industrial processing) and all subsequent, indispensable maintenance operations. Another inconvenient aspect of this technology is that winds must reach a certain, minimum velocity to be able to move the blades of the turbines. There is also a maximum wind velocity that, if exceeded, causes the entire network circuit to shut down. In addition to the noise they produce and the disruption of the natural environment they represent, these wind farms reportedly affect the routes of migratory birds or the areas where these birds avail themselves of lateral winds, and the creation of access roads – and regular human presence, in general – damages local fauna. The limitations of this technology, and the impact it has on the environment, ought not make us reject wind farms outright, but should, rather, make us re-think the way in which we have been implementing the technology and how congruous it is with the country’s global development strategy, as well as prompt us to demand accurate information in this regard. One of the more disquieting aspects of the wind power issue is how the Cuban media portray its state of development on the island, selling an image of a sustainable and ecological program, when, in fact, the country is heading down the more profitable road, caring little about its environmental impact. As these grandiloquent reports on “green” energy sources are published, oil prospecting projects across Cuba’s platform continue in almost utter silence. This means that the government continues to invest heavily in this polluting energy source. 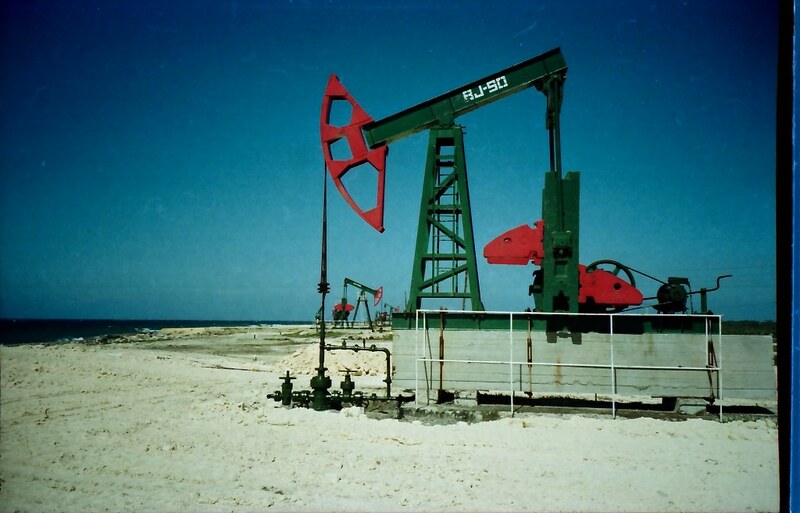 Cuban oil experts and government officials had anticipated that the country would be producing 90 % of its electricity with domestic oil reserves by 2010, but were unable to achieve this. 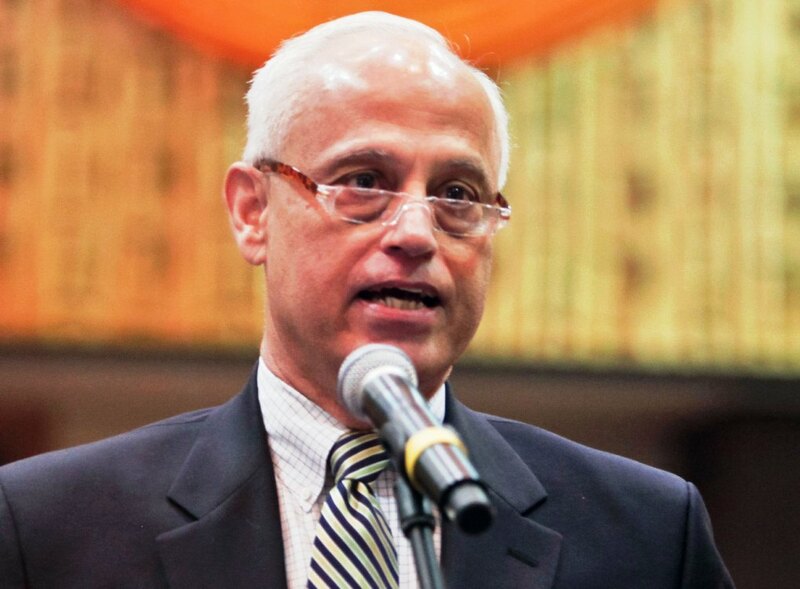 According to recent declarations made by Jorge Piñon, Associate Director of the Latin American and Caribbean Energy Program, Cuba could be producing as many as 250 thousand barrels of crude a day within five to seven years. Enthusiastic Cuban government experts estimate that the Gulf of Mexico platform could contain as many as 20 billion barrels of oil. The U.S. Geological Service estimate is considerably more modest, calculating reserve volumes there at 5 billion oil barrels. To date, results have not been exactly promising. The “Scarabeo 9” platform had to pull out of the so-called Exclusive Economic Zone last year, following three unsuccessful attempts to find oil in the area. These fiascos do little to burst the oil bubble of the Cuban government, which continues to spend millions in prospecting infrastructure. Following the intensive modernization of the country’s thermoelectric plants ten years ago, Cuba is now working to expand its refinery in Cienfuegos, construct an oil duct connecting Cienfuegos and Matanzas, build a storage facility that can house 600 thousand oil barrels in Matanzas and complete the vast commercial port in Mariel (a billion dollar investment), and in many other related projects. In the meantime, Venezuela continues to ship an average of 100 thousand barrels of oil to the island every day, 30 thousand of which are financed by PetroCaribe, as per a 25-year agreement with an interest rate of only 1 % signed with the island. What will Cuba do in 2030, then, when it has the infrastructure to generate 10 % of its electricity using renewable energy sources? Will it have found the oil it seeks by then? Will it abandon the idea of using this oil for energy production? Will it sell it to the United States? 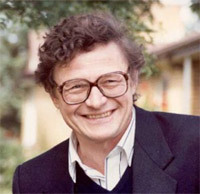 According to the most recent report issued by the National Intelligence Council, the CIA bureau responsible for analyzing and anticipating geopolitical and economic developments around the world, by 2030 the United States (the world’s largest importer of hydrocarbons today) will be entirely self-sufficient in terms of oil resources, and the world’s oil market could well collapse as a result of this. We must acknowledge that hydrocarbons continue to be the world’s chief energy resource and that, like the rest of the world, Cuba does not have the infrastructure or programs needed to make the transition to a post-oil economy. Many experts agree that the diversification and expansion of energy sources must become one of the pillars of Cuba’s future energy production scheme. A broad range of alternative energy sources, from natural gas (the least polluting of all hydrocarbons) to renewable sources such as ethanol extracted from sugar cane, wind power, solar energy and bio-gas could be developed in Cuba. 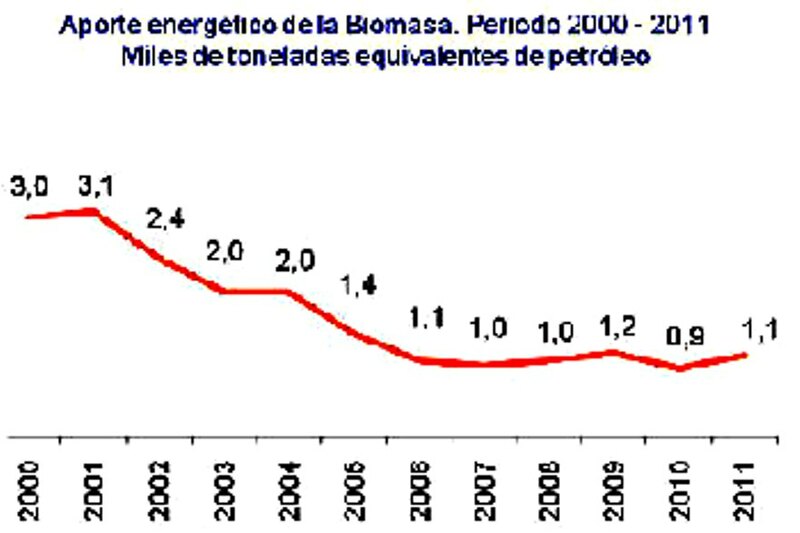 That said, according to Cuba’s National Statistics Bureau, the amount of energy Cuba produced using renewable sources in 2011 was nearly 2 million tons less of oil equivalent than in 2001. This report reveals a marked decline in the use of these alternative energy sources in the course of the decade, a trend which coincides with the “oil enthusiasm” of recent years and the shutting down of numerous sugar refineries across the country. The greatest drop was experienced in the use of biomass (chiefly sugar cane bagasse). Hydroelectric plants are the most widely used forms of primary energy production, while wind power generators occupy the fifth place among renewable energy technologies used on the island. In recent years, experts in the field have voiced complaints that Cuba’s Electricity Law does not particularly encourage the use and commercial promotion of renewable energy sources. The truth of the matter is that none of these sources of energy afford us one, magical solution to the problem of the energy deficit, and many of these technologies pose serious bioethical questions. If anything, they underscore the fact that the demands of contemporary society, engineered by global capitalism, are insatiable. The policy of development at all costs, planned obsolescence, the alienation of individuals and collectives in productive processes, the outsourcing of production, the deification of consumption, policies which protect banks and international financial institutions, these and many other problems are at the root of the crisis faced by the energy sector and, I dare say, our civilization as a whole. Cuban economists and politicians do not appear to be equipped with the mentality needed to understand this. They are prey to the same ills mentioned above, and they are irresponsibly supported, in their policies, by a good part of Cuba’s scientific community, which does little to re-think the idea of “development” that prevails today. At the recently-concluded world conference on wind power, Cuba sought to put together a business portfolio with a view to signing international agreements and broadening productive capacities in the sector. This, which appears commendable, is congruous with the pragmatism of calculating analysts within and outside Cuba, who seek a painless reinsertion of the island’s economy in the international market. *Energy Return Rate (ERR): Amount of primary energy that must be invested in order to produce energy with a given source. Alternative energy source production in Cuba. Jorge Piñón: ¿Un futuro petrolero para Cuba? Lenier Conzalez Mederos y Roberto Veiga Gonzalex entevistaron a Jorge Piñón , un cubanoamericano, que salió de la Isla como parte de la Operación Peter Pan, y tantos años después sigue hablando en primera persona cuando se refiere a Cuba. Se desempeñó como presidente para América Latina de la empresa petrolera AMOCO Oil, y actualmente es investigador del Centro de Política Internacional en Energía y Medioambiente de la Universidad de Austin (Texas). La entrevista tuvo lugar en el hotel Meliá Habana, Cuba. The original is at the web site of Espacio Laical. HAVANA, May 29 (Reuters) – Russian state-owned oil company Zarubezhneft said this week it was giving up for now on a problem-plagued exploration well off Cuba’s north-central coast, which brings to an end the communist-led island’s only active project in its search for offshore oil fields. The news was not all bad because the company said it would return to the same spot next year. But it was another blow to Cuba’s hopes for energy independence, which have acquired new urgency with the March death of Venezuelan President Hugo Chavez, the communist-led island’s top ally and benefactor. 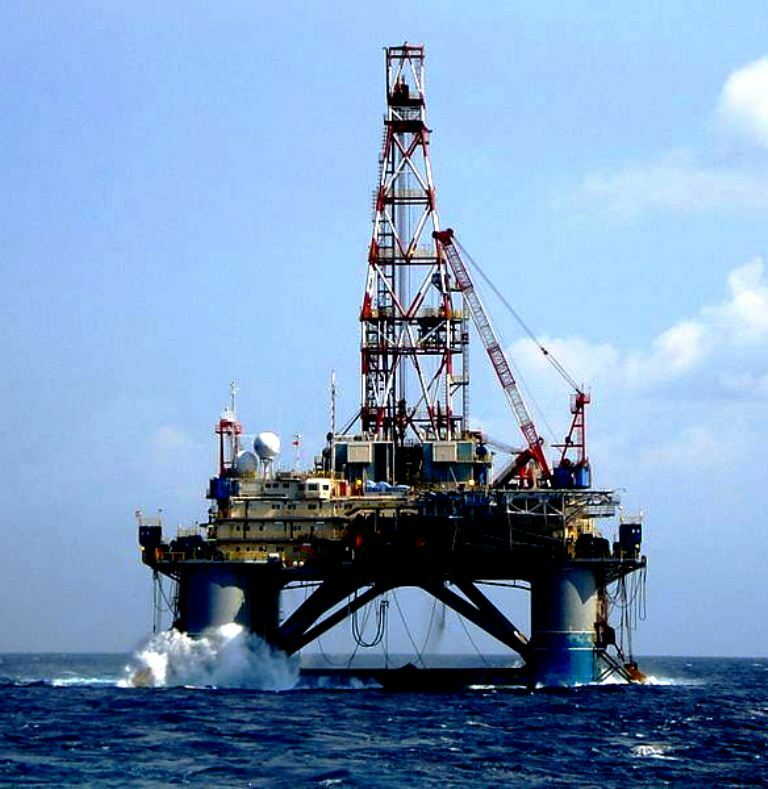 The Russians’ plan to drill 6,500 meters (21,325 feet) below the sea floor and hopefully find oil appears to have been derailed by the same issue that others have encountered in Cuban waters – difficult geology – as well as problems with its rig, the Songa Mercur, which at one point lost its blowout preventer. “Taking into consideration geological complications, Zarubezhneft and (Cuban state oil company) Cubapetroleo have jointly decided to make changes in the initial drilling program by dividing it into two stages,” the company told Reuters this week. “The second stage of exploration work on Block L is due to be launched in 2014,” it said, declining to comment further. The well, begun five months ago, was in shallow water about 200 miles (320 km) east of Havana, near the popular tourist destination Cayo Santa Maria. 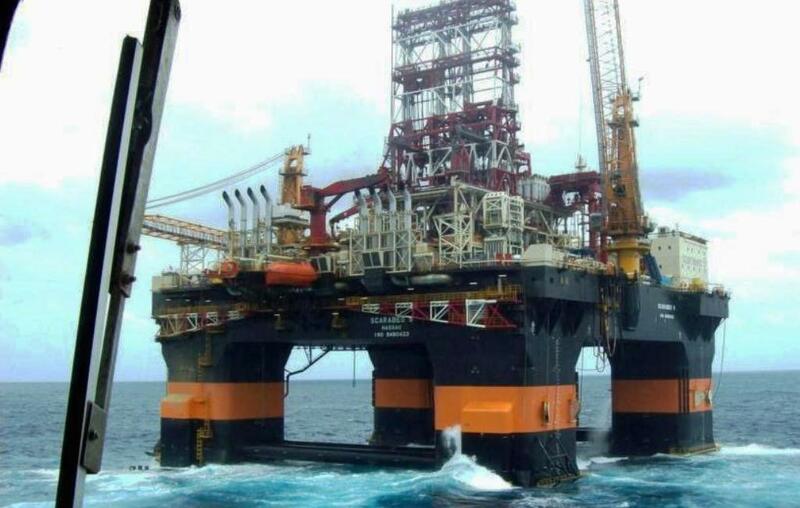 The premature end of the Zarubezhneft well was not totally unexpected because Songa Offshore, owner of the Songa Mercur, earlier said the rig would leave by June 1 for a project in Southeast Asia. It had originally been scheduled to stay in Cuba until July 1. All of which means that Cuba is back to square one in its quest to tap into fields off its northern coast that it says may hold 20 billion barrels of oil. The U.S. Geological Survey has estimated a more modest 4.6 billion barrels. In the last year, Spain’s Repsol SA, Malaysia’s Petronas and Venezuela’s PDVSA sank wells in waters more than a mile deep off Cuba’s northern and western coasts. They all came up dry, and encountered a thick layer of dense rock difficult to drill through. The Caribbean island’s hopes now lie with projects under consideration that may or may not come to fruition and are likely at least a year or more away if they do. Should oil be found, it would take another three to five years to put it into production, experts say. Time is of the essence for Cuba because, under a generous deal made with Chavez, it gets 110,000 barrels per day, or two-thirds of its oil, from Venezuela in exchange for the services of more than 40,000 Cubans, most of them doctors and other medical personnel. Chavez’s successor, President Nicolas Maduro, vowed during a recent visit to Havana to keep the oil flowing, but he faces mounting economic problems and political pressure from opponents to stop shipping oil to Cuba. Repsol, which also drilled an unsuccessful well in deep water near Havana in 2004, pulled out of Cuba, but some of the other oil partners are still around. Petronas is continuing to conduct seismic studies in the four blocks it leases with Russian partner Gazprom and is considering another well, as is Venezuela’s PDVSA, which has four blocks at Cuba’s western tip, industry and diplomatic sources said. A unit of India’s Oil and Natural Gas Corp, which had a share of the Repsol wells, has two offshore blocks of its own and has been looking for a partner to drill a well. In a development that is potentially both interesting and controversial, Norway’s Statoil ASA, which also partnered with Repsol, appears to be looking at possibilities on Cuba’s mostly unexplored Caribbean side. A Cubapetroleo map on display at a recent geosciences conference in Havana indicated that as of last November, Cuba was in negotiations with the Norwegian oil giant to lease three large blocks along the central and southeastern coast, between the archipelago of the Gardens of the Queen and the coast in the Gulf of Ana Maria and the Gulf of Guacanayabo. Statoil does not comment on pending projects, but industry sources said it may just be sniffing around as it does all over the world looking for oil prospects and that its level of interest remains to be seen. The company has not mentioned Cuba in its drilling plans for the next two years. It is likely also mindful of the sensitivity and potential dangers of drilling near the Garden of the Queens, which is regarded as one of the world’s most pristine coral reefs and whose preservation as such has become a cause for international environmental groups. The same Cubapetroleo map showed that a Brazilian firm, Synergy Corp, was in negotiations for a near-shore block on Cuba’s north coast that state-owned Petrobras abandoned two years ago, citing poor prospects. Attempts to reach Synergy for comment were unsuccessful. A number of factors are working against Cuba’s oil hopes, among them the political and logistical difficulties imposed by the long-standing U.S. trade embargo against the island. The embargo makes it difficult to find rigs that do not violate its limitations on the use of U.S. technology in Cuba and, according to experts, adds an estimated 20 percent to costs because everything in the project has to be shipped in from distant, non-U.S. sources. There is also Cuba’s history of failed wells, which makes it hard to compete for the oil industry’s interest in a world where there are many other areas with proven oil reserves. “It is very difficult today with other opportunities out there for a major oil company to justify going to Cuba and spending what will certainly be over $100 million in areas where it is yet to be proven they have recoverable reserves,” said Jorge Pinon, an expert on Cuban oil at the Center for Energy and Environmental Policy at the University of Texas in Austin. “It is going to be extremely challenging (for Cuba),” he said. Cuba has historically suffered from an acute dependence on foreign sources to meet its energy needs. Until now, the island has had a small supply of conventional energy resources such as oil1, gas and coal, key sources in the current energy model. During the last century, and for different reasons, the country concentrated its oil imports in two major contemporary economic and military powers, the U.S. and the extinct Soviet Union. The analysis of the evolution of this dependence is essential to explain the possibilities of development for the country. Therefore, any event with the power to mitigate this constraint has sizeble economic and geopolitical significance for the Caribbean nation. After 1959, the Soviet Union became the quintessential foreign supplier. Preferential supply conditions notably eased the pressures of the road towards diversified energy and greater weight for domestic sources, although there was a breakthrough in energy production from sugarcane biomass, logical result of the growth in volumes of sugarcane. excellence was the blackout, an extreme measure used frequently in exceptional circumstances. One of the immediate responses to alleviate the situation was the decision to double efforts to increase domestic oil production. That attempt was made feasible by the participation of foreign companies, under a scheme of risk contracts. The results have been very good, increasing output by nearly six times in the period. Progress was also made in the use of natural gas, which plays a major role in the generation of electricity2 and the supply of fuel for cooking in the capital of the country. In both examples, the role of foreign investment has been crucial. The only rig in existence that can drill in deep waters off Cuba is preparing to sail away from the island, officials said Tuesday, after the third exploratory well sunk this year proved nonviable in a blow to government hopes of an oil bonanza. While production was always years off even in the event of a big discovery, analysts said the Scarabeo-9’s imminent departure means Havana’s dreams of injecting petrodollars into a struggling economy will be on hold indefinitely. Geological surveys indicate that between 5 billion and 9 billion barrels of oil may lie in deep waters off Cuban shores, but finding it has turned out to be trickier than officials hoped. The Scarabeo-9, a 380-foot-long (115-meter), semisubmersible behemoth that leases out for prices approaching a half-million dollars a day, steamed all the way from Asia at tremendous cost to arrive in Cuba in January. That was the only way companies could avoid sanctions under Washington’s 50-year-old embargo against Cuba. The Scarabeo is the only rig of its kind built with less than 10 percent American parts — an extreme rarity in an industry where U.S. technologies play a major role. An exploratory well sunk early this year by Spanish company Repsol turned out to be commercially nonviable. After Repsol declined an option to try again, the Scarabeo passed to a group led by Malaysia’s Petronas, which drilled its own dud. Cuban officials announced Nov. 2 that Venezuela’s PDVSA had also missed the mark. For this baseball-mad nation, it was strike three. Cuba’s Ministry of Basic Industry, which oversees oil matters, confirmed Tuesday that the rig is on its way out, with no word on when it might return. “The Scarabeo-9 will leave Cuba soon,” it said in a brief statement emailed to The Associated Press. It referred questions about the platform’s destination to owner Saipem of Italy. Saipem’s parent company Eni declined to comment, but various reports have had it bound for Africa or Brazil. Oil’s existence off Cuba is not in doubt. Russian company Zarubezhneft is contracted to use a different rig to drill in shallower waters off Cayo Coco, a key Cuban tourist destination, later this month. But the more promising deposits lie in the deep waters of the west. The only way to get at them is to bring back the Scarabeo or build an entirely new rig, and the three failed holes plus the ongoing hassle of avoiding sanctions from the U.S. embargo will likely make companies think twice. Pinon noted that the Repsol and Petronas wells were not dry holes, only that exploiting the oil there was not currently commercially viable due to the structure of the ocean floor and the porosity of the rock. “If oil continues at over $100 and if the industry continues to learn and develop new technologies, they could probably come back to Cuba … and go for a second round,” he said. Cuban drilling in the Gulf of Mexico had raised fears in the United States that a big spill could slick U.S. shores from the Keys to the Carolinas. It also attracted heated criticism from anti-Castro exiles in Florida’s Cuban-American community. “The (U.S.) administration must finally wake up and see the truth that an oil rich Castro regime is not in our interests,” Florida Rep. Ileana Ros-Lehtinen said in a recent statement. Some cited Cuban oil exploration to argue for strengthening the embargo, which bans U.S. companies from doing business with Cuba and threatens sanctions against foreign firms if they don’t play by its rules. Others said it demonstrated the opposite: a need to ease the embargo so U.S. companies could more smoothly participate in disaster response to any spill. Cuba has long campaigned for an end to the embargo, which remains in place despite 21 consecutive U.N. votes against it — most recently on Tuesday when the world’s nations voted 188-3 to condemn the sanctions. 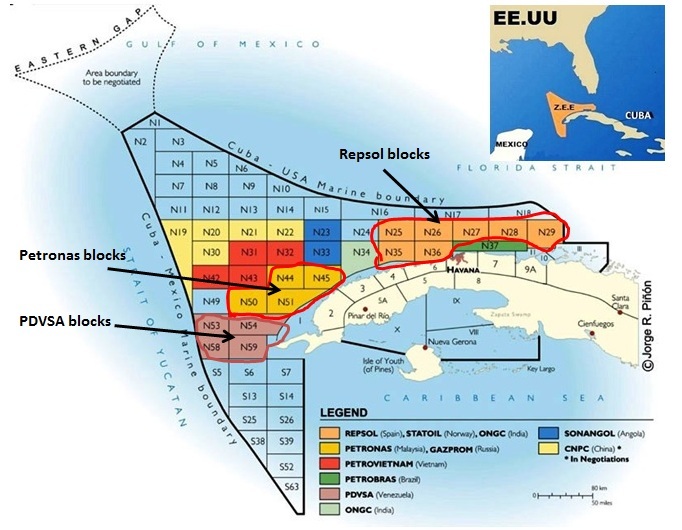 A new comprehensive and well-researched examination of U.S.-Cuba cooperati9n in petroleum exploration and development in the Gulf of Mexico has just been published. The original document has not yet been posted on the Environmental Defense Fund web site (as of September 10, 2012) but it is available here on the Cuba Central site under the heading Not Like Oil and Water – Cuba and the US Can Cooperate on Drilling. Authors: Emily A. Peterson, Daniel J. Whittle, J.D., and Douglas N. Rader, Ph.D. In May 2012, the Spanish oil company Repsol announced it had drilled a dry hole during its deepwater exploration in Cuba. After having spent roughly $150 million on two failed wells in Cuba’s waters (the first being in 2004), the company revealed it would likely exit the island and explore more profitable fields such as those in Angola and Brazil. In August 2012, Cuba’s state oil company announced that the latest offshore exploration project—a well drilled by Malaysia’s state-owned Petronas on Cuba’s northwest coast—was also unsuccessful. To some, the outcome of three failed wells out of three attempts in Cuban waters may suggest that the threat of a catastrophic offshore spill impacting U.S. waters and the shared ecosystems of the Gulf of Mexico is now moot. To the contrary, the issue is salient now more than ever. 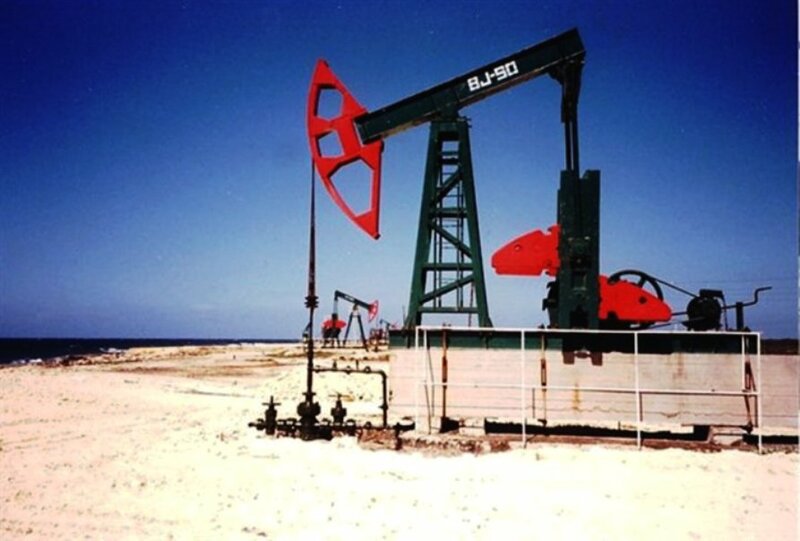 Cuba has an existing near-coastal oil industry on its north coast near Matanzas, a near- single-source dependency on imported petroleum from Venezuela, and has exhibited continued strong interest in developing its own offshore capacity. Several additional foreign oil companies are slated to conduct exploratory deepwater drilling in Cuba at least through 2013. Current U.S. foreign policy on Cuba creates a conspicuous blind spot that is detrimental to the interests of both countries. The United States government enacted stricter regulations governing deepwater drilling in U.S. waters in the aftermath of the Deepwater Horizon oil spill, and has publicly acknowledged a need to better prepare for a potential major spill in neighboring Cuban waters of the Gulf of Mexico. Yet U.S. policy still does not do enough to lessen the likelihood of such a spill or to ensure that sufficient resources will be at the ready to respond to a spill in a timely and effective manner. Beyond their geographical proximity, Cuba and the United States are tightly interconnected by ocean currents and share ecosystems such that a spill in either country could have profound impacts on fisheries, tourism, and recreation in the entire region. Yet, due to longstanding U.S. economic sanctions, international operators working in Cuba are unable to turn northward to the United States to freely access equipment and expertise in the event of an oil disaster. The purpose of this report is to present EDF’s position that direct dialogue and cooperation between the United States and Cuba on environmental and safety matters associated with offshore oil and gas development is the only effective pathway to protect valuable environmental and economic interests in both countries. Cooperation now on safety and environmental preparedness surrounding offshore oil can also lay a foundation for broader constructive engagement on environmental protection and natural resources management in the future. Principally, this report addresses U.S. policy toward Cuba and makes recommendations for improving environmental and safety preparedness related to offshore oil exploration and development in Cuba. This report is not intended nor does it purport to serve as a comprehensive analysis of Cuba’s domestic energy strategy, policies, laws, or regulations. Deepwater drilling off the northern coast of Cuba and in many other areas of the Gulf of Mexico poses a potential threat to sensitive and vulnerable marine and coastal ecosystems and to coastal communities. Cuba has a sovereign right to determine whether to exploit oil and gas resources within its Exclusive Economic Zone (EEZ), in the same way other nations do, including Cuba’s neighbors in the Gulf of Mexico, the United States and Mexico. Other Caribbean countries, such as the Bahamas, are also considering offshore oil and gas operations in the future. The underlying reality is that the Cuban government will continue with its drilling activities, with or without the acquiescence of U.S. policymakers. Unilaterally, the United States should revise its licensing process to ensure that the resources of U.S. private companies and personnel could be deployed in a timely and comprehensive manner should an oil spill occur in Cuba. U.S. and Cuban government agencies should fund and facilitate collaborative research on baseline science of shared marine resources in the Western Caribbean and Gulf of Mexico. The high level of connectivity between the two countries underscores that developing baseline science is an imperative that should not wait for a disaster to occur. These and other recommendations in this report are pragmatic and fully consistent with those put forth by the National Commission on the BP Deepwater Horizon Oil Spill and Offshore Drilling. The co-chair of the commission and former U.S. Environmental Protection Agency (EPA) Administrator, William K. Reilly, concurs that environmental cooperation is as critical to U.S. interests as it is to Cuba’s. “Our priority with Cuba should be to make safety and environmental response the equivalent of drug interdiction and weather exchange information, both of which we have very open, cooperative policies with the Cuban government,” Reilly said. Finally, we are hopeful that the Cuban government will continue to expand its promising energy efficiency and renewable energy programs, so as to minimize fossil fuel reliance and to mitigate environmental threats on the island and beyond.